Students face challenges navigating the amount of information available to them and assessing its quality and reliability. Teachers and librarians are at the front lines, equipping students with the skills they need to become digitally literate citizens. In the MLA Guide to Digital Literacy, forthcoming in 2019, Ellen Carillo argues that it’s vital for students to understand why it’s important to gain these skills: their education, their future careers, and their participation in democratic processes rely on it. We turned to Professor Carillo, who teaches writing at the University of Connecticut, to talk about the challenges she sees in the classroom and what educators can do about them. 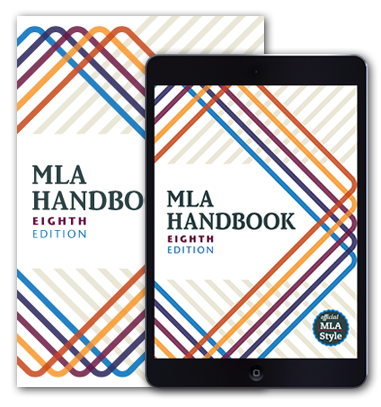 MLA: Students today probably have access to a broader array of information sources than at any other time but also face increasing difficulty getting reliable information from those sources. What kinds of challenges does this create for students? EC: One, the biases inherent in sources are largely invisible. Two, the sheer number of kinds of sources (from op-eds to videos, podcasts, and social media posts­) and the proliferation of online news outlets means students must become well versed in many different kinds of information. Three, signs of trustworthiness (like the domain of “.org”) are being co-opted by commercially driven, partisan groups. All of this makes it very difficult for students to evaluate the credibility of the information they find. Of course, this can have significant consequences when it comes to their research-driven projects, their personal choices, and their participation in a democratic society. MLA: What advice do you have for teachers who want to help their students navigate a “post-truth America” (to quote the title of your latest book)? EC: Our role as teachers has shifted: we are no longer gatekeepers of information, since students have unprecedented access to it (as Richard E. Miller and others have pointed out). Instead, teachers are responsible for giving students the tools they need to understand and evaluate information. MLA: What are the most important tools that teachers can give students? EC: Students’ repertoire of critical reading strategies should be approaches that encourage students to read with and against the grain of texts and to take on perspectives different from their own, both of which can help prepare students for citizenship in a divisive climate. Teachers must help students make bias visible by teaching them to pay attention to the author’s word choice, affiliations, purpose, use of evidence, and other relevant elements so students can consistently and adeptly assess the sources they find. Teachers must also help students recognize the role of affect, of emotion, in their own ideologies. The very concept of post-truth depends on people being guided by their emotions as opposed to cognition. Teachers must speak openly with their students about this affective dimension and the role it plays in shaping worldviews. Finally, teachers must also attune students to common behaviors such as confirmation bias, filter bubbles (or echo chambers), motivated reasoning, and information avoidance so that students have a way of understanding and discussing how they interact with information in a post-truth culture. MLA: Do we all need to change how we read? If so, how and why? EC: How we read has already changed. Skimming and scanning have become the default reading practices for so many of us. Engaging in focused, deliberate, and uninterrupted deep reading seems almost a Sisyphean—if not antiquated—task. What we need now is to be aware of those changes. We must consistently ask ourselves, Why am I reading? and then think about how best to read to achieve the intended goal. In some contexts, skimming and scanning will suffice but not in all contexts. If we become more conscious of why we are reading, we can become more mindful readers of whatever it is we are reading. MLA: What steps can postsecondary institutions take to recognize the centrality of research and writing skills to their educational mission in a democracy? EC: Students must be given opportunities to practice evaluating information sources, differentiating between misinformation and disinformation, assessing bias and credibility, and parsing opinion from fact. All these skills are central to ethical and sound research but also to participating in a democracy. What I am describing is not the job of a single discipline but of all disciplines. In all their courses students must participate in activities that strengthen their abilities to engage in active critical inquiry through the practices of reading and writing. Moreover, institutions need to foreground the importance of dispositions such as openness, flexibility, and empathy, which can help students become better readers, writers, and researchers while also giving students the tools to engage in dialogue across divides within and beyond the classroom. MLA: Are there new skills or ways of thinking that you see students bring with them to college as a result of their familiarity with digital media? EC: Students often have experience composing across media, so they have the ability to produce rich and complex multimodal texts in response to classroom assignments. But I think we make a mistake as educators when we assume that because students are digital natives that they are adept at assessing the information they find online. Recent research shows this. So we must find ways to help students enhance and further develop the skills they already bring with them to the classroom without forgetting that our students still have a lot to learn about navigating our digital culture. Ellen Carillo is associate professor at the University of Connecticut and the author of the MLA Guide to Digital Literacy, forthcoming in 2019. Thanks for this article. Professor Carillo’s “post-truth” designation is on point. Perhaps at no other time in history has it been more crucial that students understand how to think, read, and write critically in an age where words carry both meaning and non-meaning, depending upon who’s using them. As soon as I finish writing this note, I am going to reserve a copy of Dr. Carillo’s book! …especially nowadays when the amount of the online information is limitless. There are many insightful points here, but I wonder about what’s implied by the statement “signs of trustworthiness (like the domain of ‘.org’) are being co-opted by commercially driven, partisan groups”: I’d call those “purported signs of trustworthiness.” I’d always found emphasis on domains to be an uneven means of assessing quality, one that too often risks short-circuiting the process of evaluating more meaningful criteria. “Are being co-opted,” present-tense? How long did white nationalist hate groups have .org domains (as some still do)? How many organizations disseminating pseudoscience? How many organizations that lacked expertise but had found a digital megaphone? For well over a dozen years, I’d ask students why they selected a particular source and receive an answer such as “Because it’s a .edu.” Oh. It’s a first-year student’s paper for a class. Is that credible? I’d ask the same students about a news article from NYT or WSJ: “No; it’s a .com.” A .gov site could just as easily be an agency like the CBO as the office of a highly partisan congressional representative, a distinction often veiled or even occluded in the perspectives of students trained to consider a URL as a key criterion. The likelihood of credibility begins with a combination of author credentials, organization purpose/reputation, and other related means of ensuring quality (ranging from the roles of fact-checkers and editors in a newsroom to peer review in scholarly journals), the deep understanding of which seems to be the foundation of actual secondary research conducted by education professionals, but one that we too often do a poor job of imparting to our students. Identifying bias is crucial, and developing students’ critical capabilities in doing so is a difficult task. But I hope that in duly emphasizing it, educators don’t fail to note other important ways of improving the teaching of research. We assume that university students are tech savvy not just with researching but with essential computer skills. They are not. At least not all of them. At UBC Okanagan, we’ve designed a tool to help first year students increase their digital literacy: Tool Bar Basics, which is a Module that shows PC users and Mac users how to use their Word processor tools. Some students use their space bar and enter key to format essays. Tool Bar Basics shows students how to use tool bars to format paragraphs, insert headers with page numbers, create first line and hanging indents. The module models MLA style essay format at the same time. We’ve soft launched the tool in our Course Management System Commons and will soon upload a survey get feedback from the first students who use Tool Bar Basics.